that brings healing to every soul! 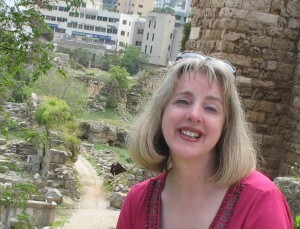 Trudy in the Middle East. Dr. Raymond Damadian, inventor of the MRI machine. Jürgen Moltmann, one of the world’s leading Protestant theologians. Ruth Graham, Ravi Zacharias, Tony Campolo and other authors. The Vatican, and renowned Catholic scholars who inspire. J. I. Packer, general editor of the English Standard Version Bible. Rabbi Laura Duhan Kaplan, former U.S. Professor of the Year. Della Reese, co-star of the television show Touched by an Angel. Their answers will surprise you. In a world reeling from one crisis to another, it is deeply encouraging to know that God not only loves us as our kind heavenly Father, but on a deep spiritual level, as a mother comforts a child [Isaiah 66:13]. 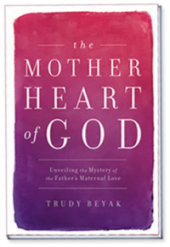 The Mother Heart of God is an invitation to the reader to experience the comfort and intensity of God’s infinite embrace, a love that shelters, protects and brings healing to every soul!